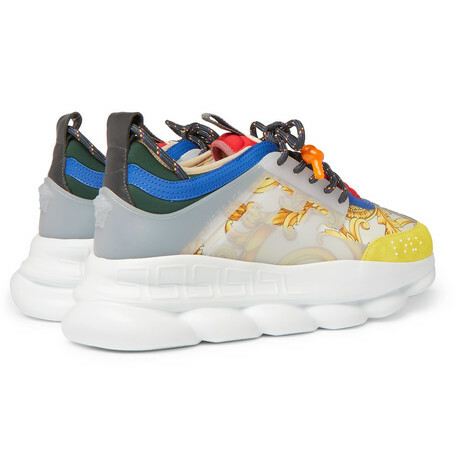 Unveiled during the AW18 show, Versace's 'Chain Reaction' sneakers take their name from collaborator 2 Chainz and the curb link-moulded soles. 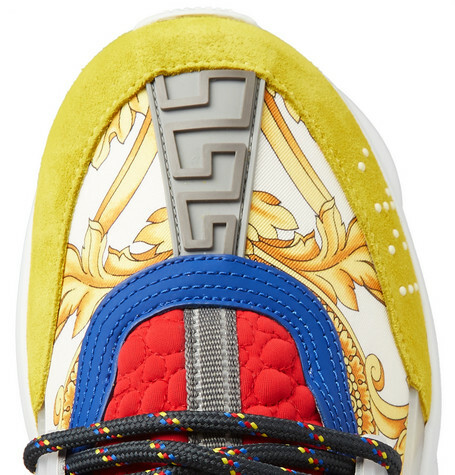 In tribute to the house's heritage, this pair is made from canvas printed with the label's iconic baroque artwork, encased in opaque rubber and trimmed with suede and neoprene. 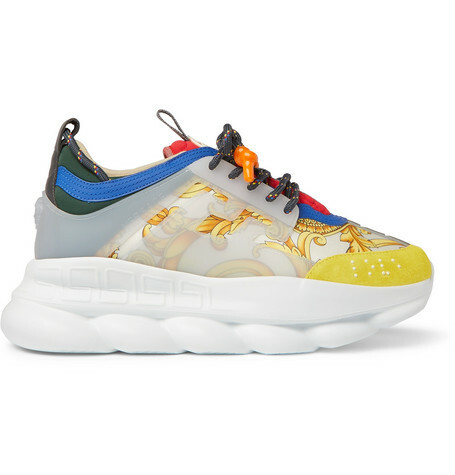 They feature the label's trademark meandering 'Greco' motif along the chunky soles and toes, and the heels are backed with leather and 3D Medusa heads.